We conduct private tours for each future family. They are available most Tuesdays through Sundays except on days we are having special events. Our tours last approximately 90 minutes and for some families tours are the ideal way to get a sense of what camp is all about. To arrange a tour simply call our office to make an appointment. Prior to June 7th call our winter office at 201-871-2086, after that time, please call our summer office at 413-655-2717. Because we conduct private tours for each family, our tour schedule always fills each summer. Please call us as soon as you know when you want to visit so we can give you a time that is most convenient for you. 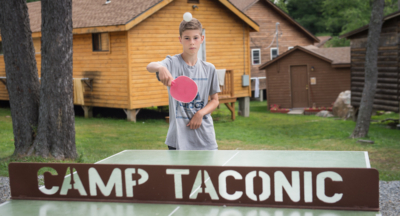 We also offer one Rookie Day each summer for future campers to experience a typical Taconic day! Rookies have a unique opportunity to spend a day at camp. 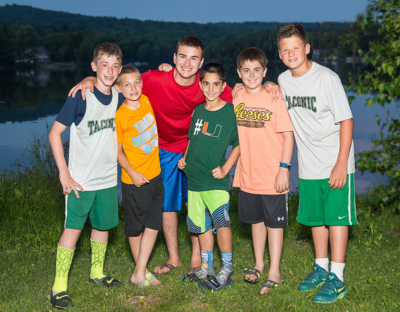 Our Rookies take a journey through the life of a Taconic camper and get to experience much that Taconic has to offer. This exciting introduction to summer camp provides the opportunity for Rookies to see and feel the warmth and spirit that our campers have enjoyed for 80 summers. Rookie Day begins at 10:00am and ends at 4:00pm. Parents drop their Rookies off in the morning and then return to camp for a personal tour. Please contact us to register your child for our Rookie Day. Spots are limited so please call us as soon as possible.